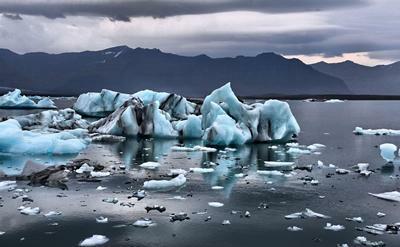 Arctic ice loss could lead to harsher winters and stormier weather in Europe because of its impact on Atlantic ocean currents, warn the authors of a new study led by the University of Southampton. The research, published in Nature Climate Change and conducted in partnership with Yale University, found that a decline in sea ice cover caused by global warming could weaken the Atlantic Meridional Overturning Circulation (AMOC) – a large-scale ocean circulation system that affects climate. AMOC is responsible for transporting heat from low to high latitudes. It has a lower limb of dense, cold water that flows south from the North Atlantic, and an upper limb of warm, salty water that flows north from the South Atlantic as part of the Gulf Stream. The authors found that the system – which plays a major role in the climate of Atlantic rim countries, particularly those in Europe – could lose up to 50 per cent of its strength, leading to a cooling of the ocean surface in parts of the North Atlantic. Lead author Dr Florian Sévellec, of the University of Southampton, said: “We suggest that Arctic ocean changes on a multi-decadal time scale, such as the decline in sea ice cover that we are currently experiencing, can efficiently weaken the large-scale ocean circulation of the North Atlantic, which is responsible for the oceanic transport of heat from the Equator to high latitudes. In the short term, changes in the subpolar North Atlantic have the greatest impact on AMOC, the researchers found. But over the course of a few decades, it was changes in the Arctic that became most important to AMOC. The researchers based their findings on a combination of comprehensive climate change model simulations and novel computations of the sensitivity of ocean circulation to fluctuations in temperature and salinity at the ocean’s surface over time. The research was supported by grants from the Natural and Environmental Research Council UK, the US Department of Energy Office of Science, and the National Oceanic and Atmospheric Administration. 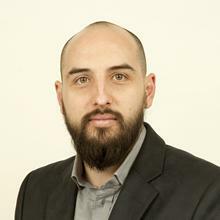 Dr Florian Sevellec is Associate Professor in Ocean Physics within Ocean and Earth Science, National Oceanography Centre Southampton at the University of Southampton.